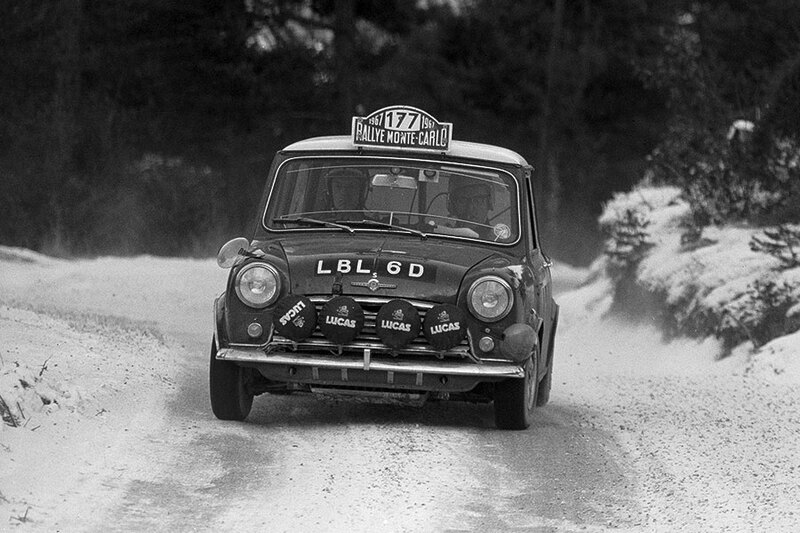 Relief, pride, and satisfaction combined when Finnish driver Rauno Aaltonen drove a BMC Competition Department Mini Cooper S across the finishing line as overall winner of the 36th Monte Carlo Rally on 20 January back in 1967. This was the Mini’s third triumph in Monaco after the victories in 1964 and 1965. Yet the win also had particularly symbolic power. The year before, the driver of the little British car believed it had secured a win for the third race in succession but the Mini was then disqualified by the race officials in a decision that drivers and fans alike still find difficult to comprehend even today. The empathy felt by the race-going spectators for the David in the field of high-powered Goliaths actually increased as a result of this outcome. And thanks to Aaltonen’s driving skills, the classic Mini had now delivered the appropriate riposte. Just a few weeks after his 79th birthday, Aaltonon will be competing in the Monte Carlo Rally Historique 2017. Rauno Aaltonen has decided to celebrate the anniversary in a way dear to his own heart. He will be getting into the cockpit of a classic Mini, taking on the hardships of a drive to Monaco over a distance of nearly 1,250 kilometres, and steering the diminutive British car up and down the steep mountain roads through France’s Maritime Alps, looking for the perfect braking point on icy surfaces. The classic Mini is ready to go, the team is in the starting blocks and the “road book” is complete. Aaltonen’s sporting ambition has also captured the imagination of BMW Group Classic. It is sending a special MINI CLASSIC Rallye Team along to line up at the start of the 20thedition of the traditional competition and relive the glory days of the “Monte” in the 1950s, 1960s and 1970s. The team has prepared the ideal car for the Finnish driver – a Mini Cooper S that already competed in the Monte Carlo Rally in 1965 and has now been completely rebuilt by Swedish company Söderqvist Engineering. They have brought it up to competition standard. CEO of the company Hans-Åke Söderqvist and his son are part of the service team, alongside Swedish driver Stig Blomqvist, Rally World Champion in 1984, and Phil Anning from British company Swiftune Engineering, which has been involved in the development and production of racing engines for the classic Mini for more than 50 years. Ten sets of spiked wheels will be in the baggage. They were specially produced in Finland for the 10 inch wheels of the classic Mini and then painstakingly finished by hand. Like the team and the classic Mini, Aaltonen has also made meticulous preparations. In December, the Finnish driver surveyed the entire route in a brand new MINI Cooper S Clubman in order to write a complete “road book”. The memories of the winning drive back in 1967 came flooding back with every curve and on each climb. But a seasoned old hand is not going to rely on memories alone. His meticulous approach earned him the nickname of “Rally Professor” all those decades ago, and he recorded all the important details about the route. Aaltonen also has an experienced co-driver at his side. Hans Sylvan (72) from Sweden took on the role of co-driver looking after navigation and timing. Sylvan has also competed in the “Monte” several times and he enjoyed a successful career over many years with Stig Blomqvist. From Bad Homburg to Monaco – and that is just the warm-up. The “Monte” has been hailed as the most spectacular and toughest racing competition of its kind for decades. There are innumerable legendary tales about the marathon stages at the start of the race, icy roads over mountain passes, snow storms coming out of nowhere and the “Night of the Long Knives” at the high mountain pass Col de Turini. In 1998, the organisers at the Automobile Club de Monaco created a new edition for historic automobiles to celebrate the legendary status of the event. The rally is always held some two weeks after the actual race and emulates the original rally with the first leg held as a star rally. This year, seven European cities serve as star points. On Friday 27 January 2017, Aaltonen and Sylvan will start off in Bad Homberg on the route to Monaco. There they will drive the first leg to Valence. The race then continues with a round trip and return to Monte Carlo, followed by the final night drive on 31 January. Only vehicles of the type that were able to line up at the start of the Monte Carlo Rally between 1955 and 1980 are permitted to take part. There are no such restrictions for the drivers. However, relevant experience of the rally is not likely to be a disadvantage. Nevertheless, nobody in the current field of starters can possibly have enjoyed such a wealth of intensive, diverse and ultimately also successful knowledge of the “Monte” as Rauno Aaltonen. The passionate start was followed by a class victory. At the end of 1961, the Finn has just become national rally champion in his home country and he was then on the look-out for a vehicle to take on the challenge of the “Monte”. He struck lucky with the works team of the British Motor Corporation. Aaltonen debuted together with the Mini Cooper, which proved to be extremely competitive from the outset in contrast to the less powerful previous model. However, the promising liaison almost came to a tragic end. Three kilometres before the finishing line, the car was in second place when it came off the road, turned a somersault and then went up in flames. Aaltonen and his co-driver Geoff Mabbs were able to get out of the car at the last minute. After this dramatic opening gambit, Aaltonen returned to line up at the start driving the Mini Cooper in 1963. This time he finished the Monte Carlo Rally as class winner and third in the overall placings. In the following year, the Irish driver Paddy Hopkirk drove the classic Mini to its first overall victory. Aaltonen achieved seventh place. The era of the “Three Musketeers” started at the “Monte” in 1964 – Aaltonen and Hopkirk were joined by Finnish driver Timo Mäkinen to make up the trio. In 1965, Mäkinen achieved the second overall victory in the classic Mini in a drive without earning any penalty points, while his fellow countryman was not included in the placings after he had to take time out. This was an unsatisfactory start to the year for Aaltonen, although he succeeded once more in taking the national champion’s title in Finland and went on to achieve overall victory in the European Rally Championship. Successful trio: The “Three Musketeers”. 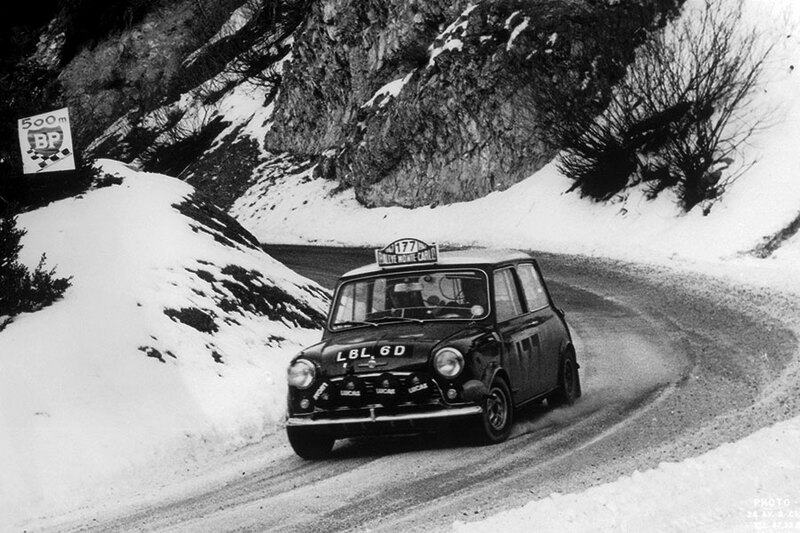 The “Three Musketeers” had their strongest outing at the Monte Carlo Rally in 1966. Timo Mäkinen, Rauno Aaltonen and Paddy Hopkirk dominated the race right from the start. At the end of the race, they were ranked one to three in that order for the overall placings. But the joy of a hat trick for the classic Mini was exceptionally brief. The trio of drivers was subsequently disqualified because of lights that were supposedly not in compliance with the official regulations according to the French race officials. One year later, the consternation about this decision had melded into steadfast determination. 1967 sounded the hour of the third “Musketeer” in the Monte Carlo Rally. Altonen and his co-driver Henry Liddon, who had previously been in the winning car alongside Paddy Hopkirk in 1964, were the fastest pair of the BMC Team and they were in a very promising position at the start of the “Night of the Long Knives”. The race was decided on the Col de Turini in driving snow. And as Aaltonen was to relate only many years later, fast cornering almost brought about the same outcome as at his “Monte” debut five years earlier. This was because the Mini Cooper S accidentally took off when the descent down the mountain became too adventurous. The car then crashed through the undergrowth and to the surprise of the crew they suddenly found themselves back on the road again. Aaltonen and Liddon took a deep breath and drove the car to a successful finish. Rauno Altonen wants to take a more measured approach to racing in the new edition of the race 50 years later. The Monte Carlo Rally Historique is being staged as a reliability rally. This means that low speeds and excessively high speeds can be punished with penalty points. Aaltonen and Sylvan are also starting the race in the class of “Low Average Speed”. They are therefore relying on routine and precision. And they are looking for victory, as a very special detail indicates. Their classic Mini bears the start number 177. This is the exact sequence of figures that became a lucky number for the winning car in 1967.